Just 1.5 km from the famous Olympic Stadium, these 3-star apartments are located between the Neuhausen and Nymphenburg districts. They offer stylish accommodation. 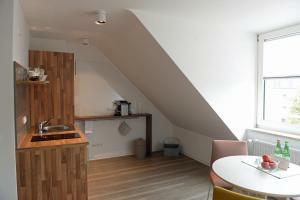 The bright rooms at Frederics Serviced Apartments feature stylish white and red interiors and modern furniture. 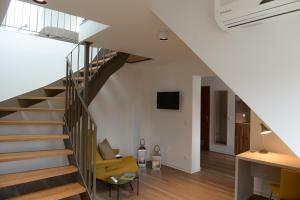 All apartments offer WiFi access and some also include a private balcony. Cafés and restaurants serving traditional Bavarian dishes and international cuisine are just a 2-minute walk from the apartments. 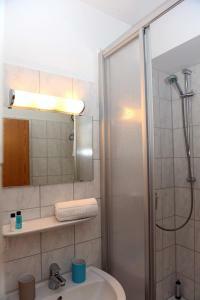 Nymphenburg Palace and Botanical Gardens can be reached within a 6-minute drive from at Frederics Serviced Apartments. Shoppers will also find Olympia Shopping Center (OEZ) just 2 km away. Westfriedhof Underground Station and bus stop is 200 metres from the apartments and provides easy connections to Munich city centre, 5 km away. Please note there is no reception. Apartment keys can be collected from a key safe. 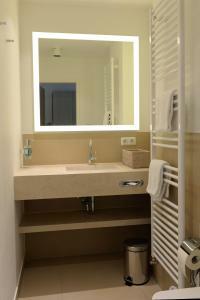 Frederics Serviced Apartments will contact you with further details after booking. To guarantee a smooth check-in, please note that payment must be made in advance and by credit card (see Policies). Please note that breakfast is provided at the neigbour bakery, 50 metres away from the property. Please note that the use of the kitchenette/kitchen is not included in the room rate and can be requested on the premises at a charge of € 30 per day.